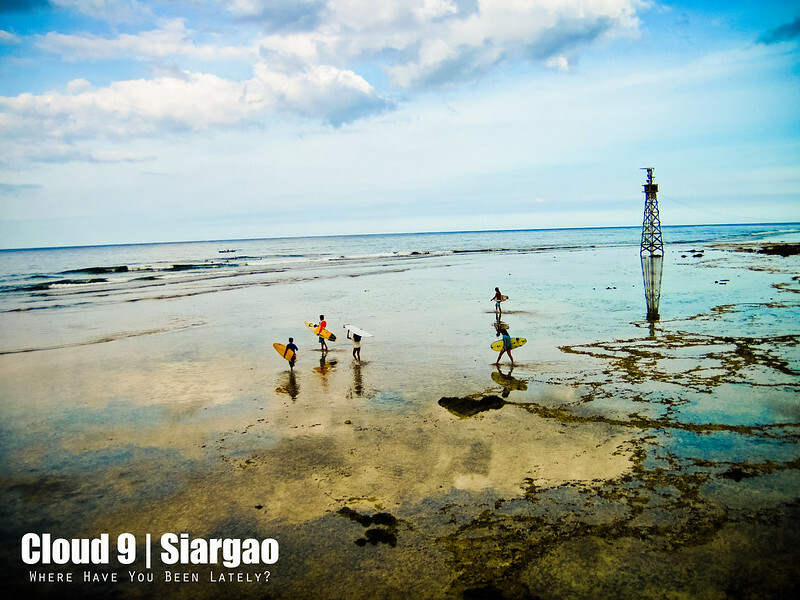 Siargao, a laid-back town, has not fully succumbed to the wonders of technology just yet. There are no ATMs, no urban banks, stores open and close early, a ghostown at 7PM when residents are busy watching telenovelas, very rare jeepneys or any other type of transportation, decent restaurants are those that can be found in expensive resorts of Cloud 9, and a lot more. 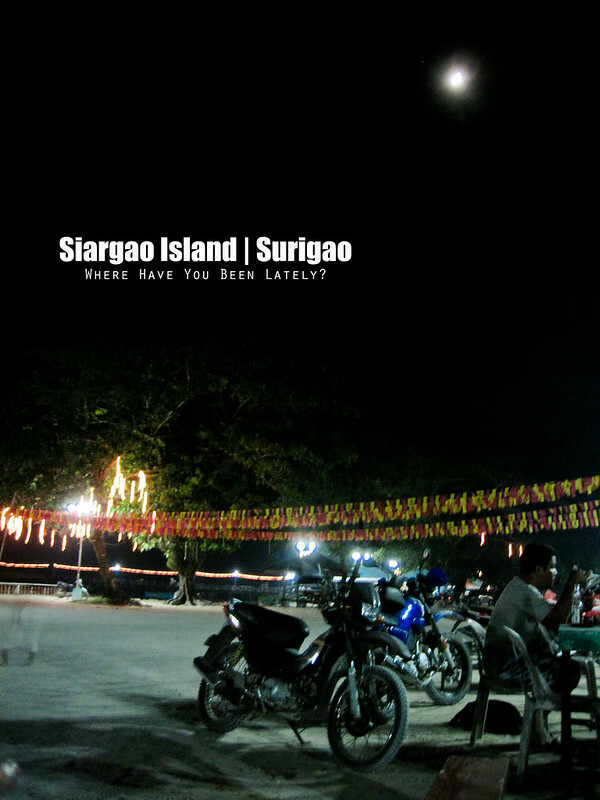 Given all these, what’s left to do in Siargao? Well, I came up with a pretty long list of the stuff you can do during your stay in the surfing capital of the Philippines. Surf ’till you drop. 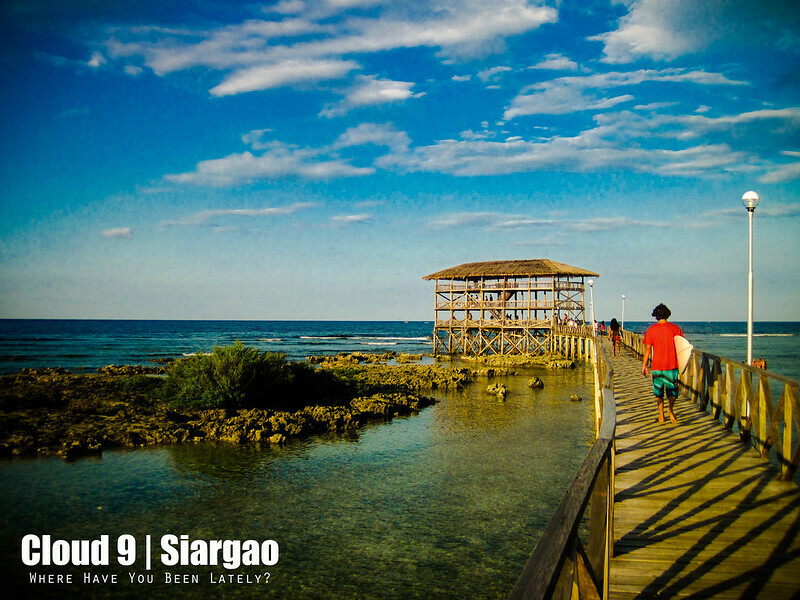 If there’s a sole reason why you should go to Siargao, it should be surfing. Cloud 9, a few kilometers away from the town proper of General Luna (GL), is known internationally for its amazing breaks and barrels attracting even professional surfers worldwide. Island Hop. If you need a little break from all the hullabaloos of surfing, then head to the nearby islands and islets Daku, Guyam, or Pansukian. 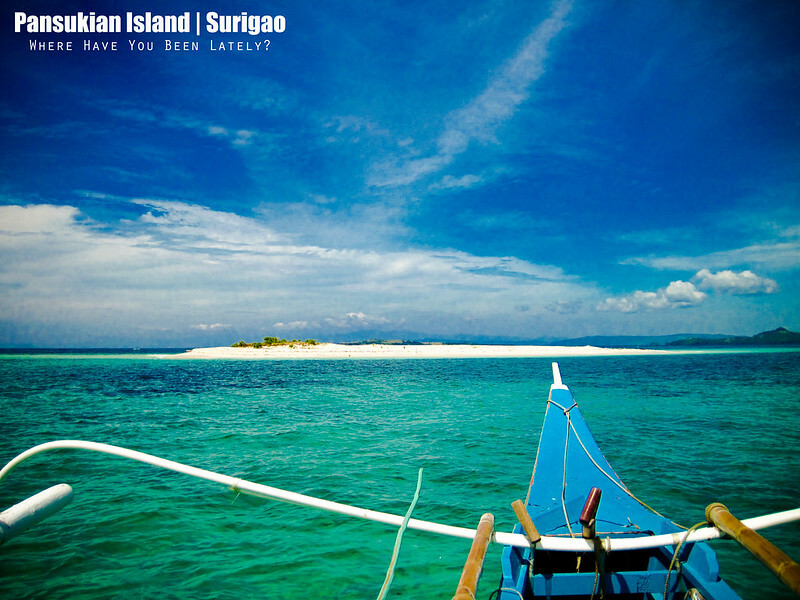 There you will find peace and still be awed by the amazing waters of Siargao. Take a dip in Magpupungko. Due to lack of time, we weren’t able to visit Magpupungko. What’s in there? A natural pool with water clear as Boracay’s! Watch the sunset in Cloud 9. 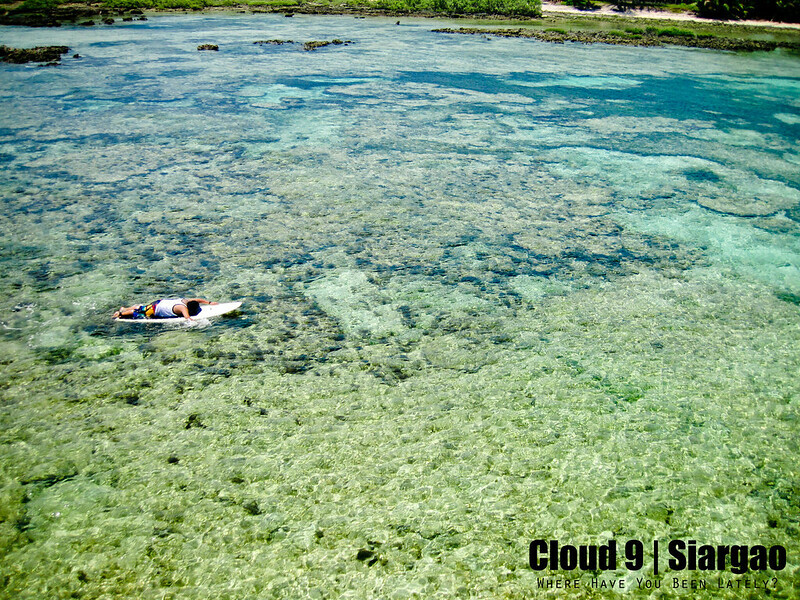 Most of the surfers gather in Cloud 9 in the afternoon. Grab a beer, converse with the kids happily playing in the boardwalk, and wait for the sunset. We were told it is breathtaking. Dinner at GL Boulevard. I tasted the best Adobong Pusit I ever had in one of the carinderias along the boulevard of GL. Being a lover of anything seafood, that must be something. The cuisine has no soy sauce and was cooked out of the squid’s ink plus laurel. Interact with the locals. Where to eat? Where to go? What to do? Who better to ask than the town’s residents? Know everything about the place by speaking with the locals. Small conversations may lead to lifelong friendship, especially now that we have Facebook and Twitter. Bike around the town. 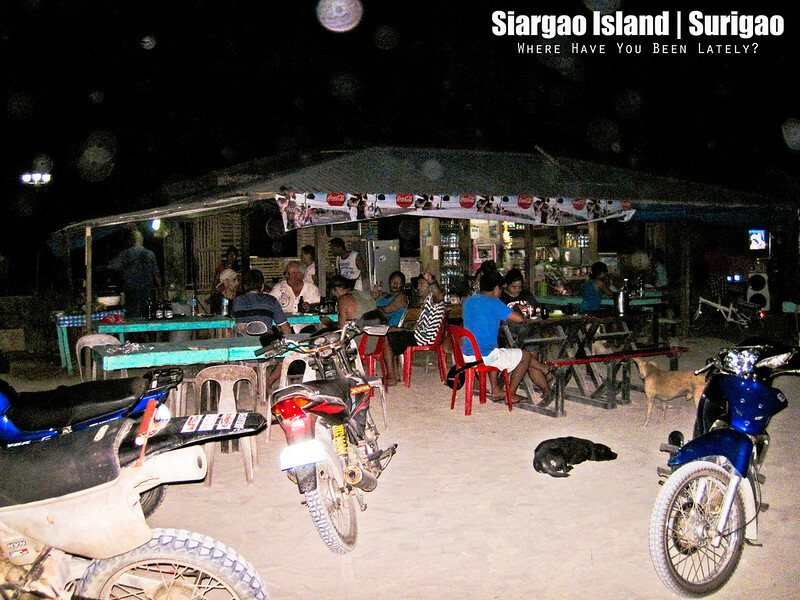 Siargao is but a small island and can easily be wandered by bike or by motorbike. 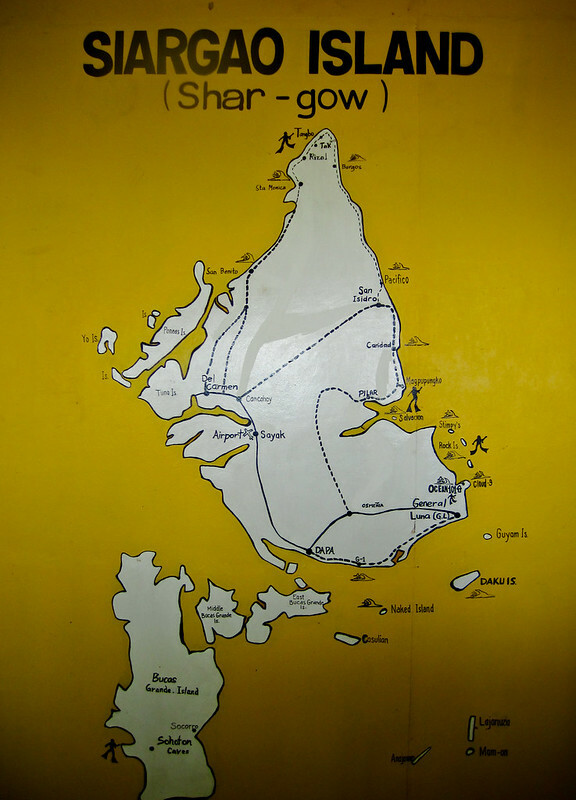 Too bad, I failed to take photos of the unusual motorbikes in Siargao. Most of the motorbikes are customized with hooks for surfboards so surfers won’t have problems carrying their bulky sports equipment while driving. Try the street foods. Haven’t seen anything peculiar when we wandered around the town but their street foods must not be missed. Barbeque, isaw, adidas plus spiiiiiiicy sauce! Share travel stories with surfers. Surfers are one of the coolest people this planet has ever had. Some of them even gave up all of their earthly riches to chase all the beautiful waves around the world. This and that are some of the stories that you can learn or share among fellow travelers.